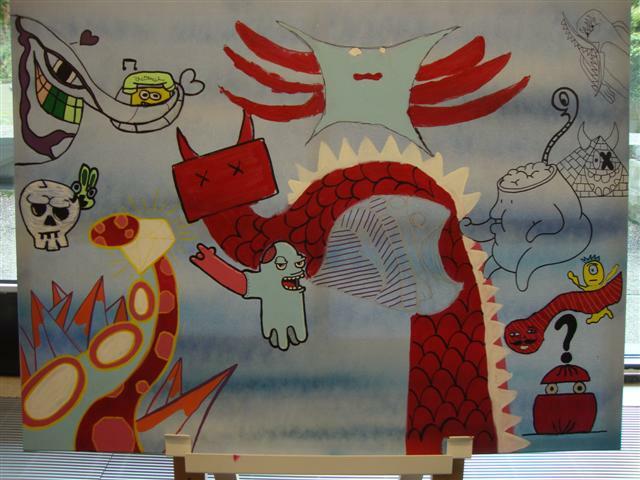 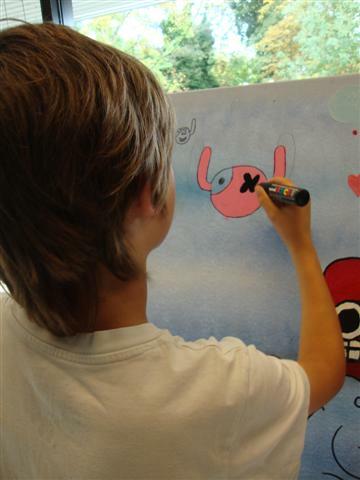 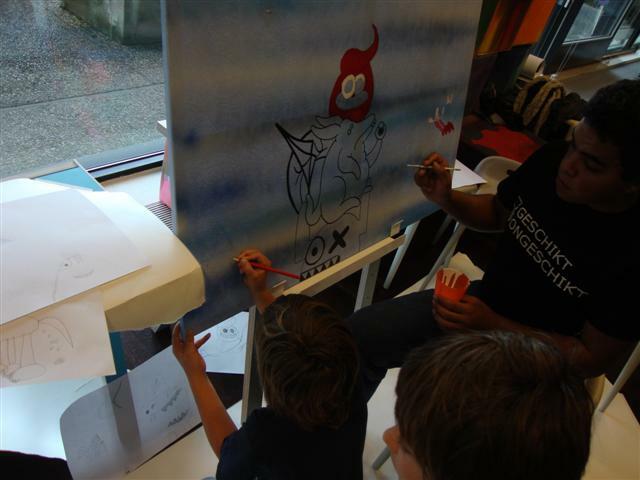 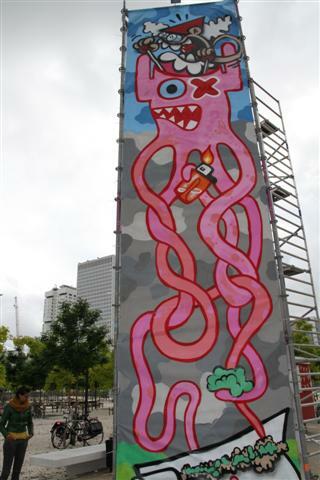 Today Pinwin, Ox-Alien & Oles did a workshop ‘Lastplak’ in Museum Boijmans van Beuningen here in Rotterdam. 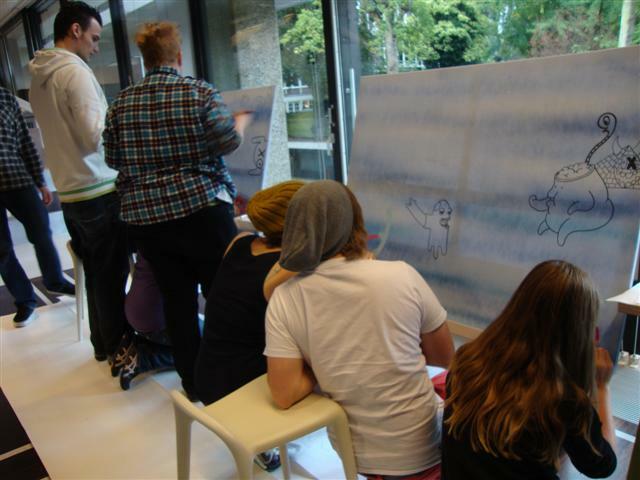 This workshop is part of the Yeah Boij project from the Hiphophuis. 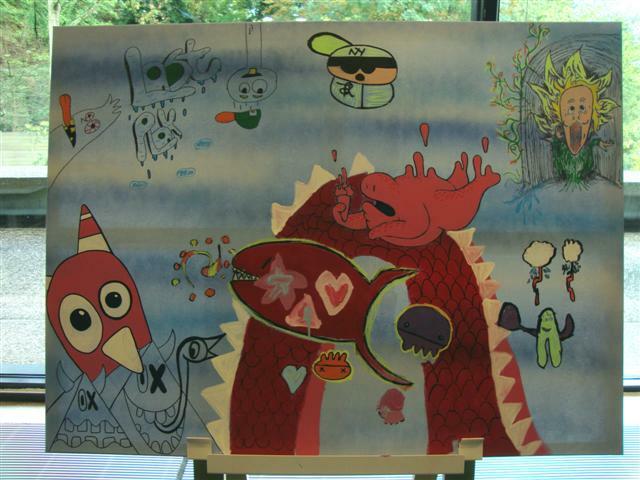 25 kids with the age from 5 till 20 participated and together we painted four paintings with their characters. 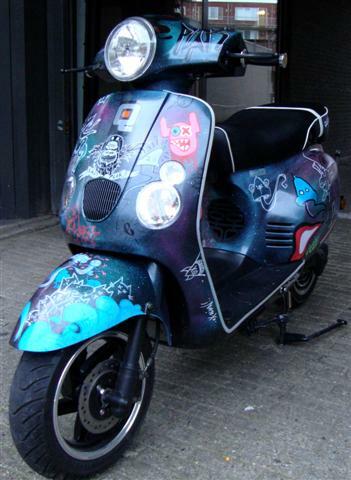 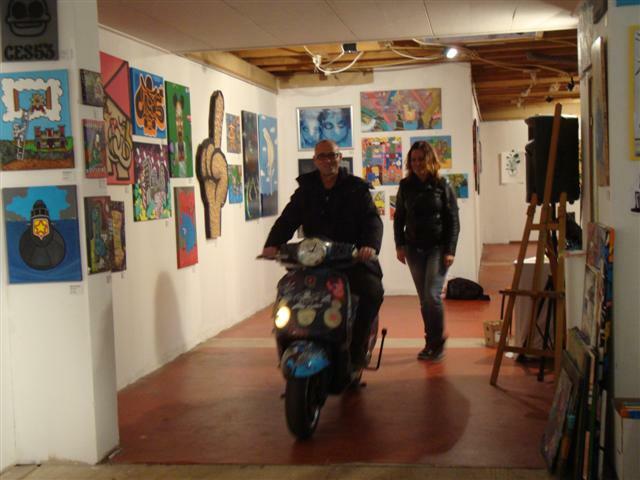 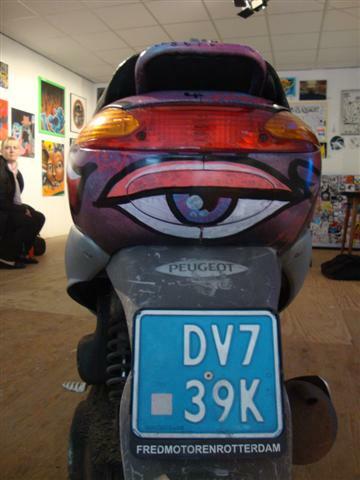 Yesterday we had the Lastplak expo in Homebase and we pimped two scooters. 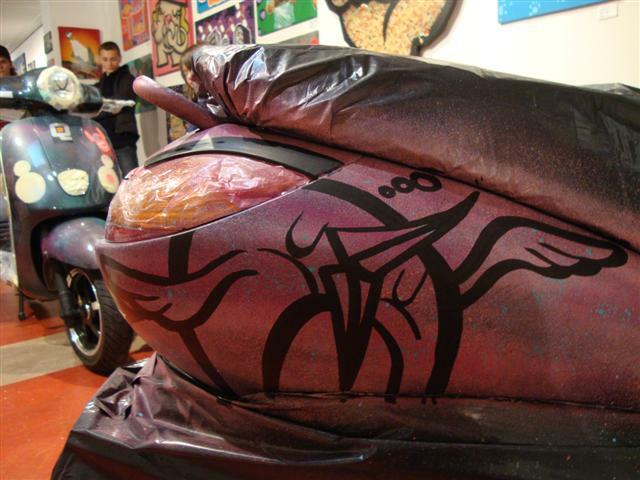 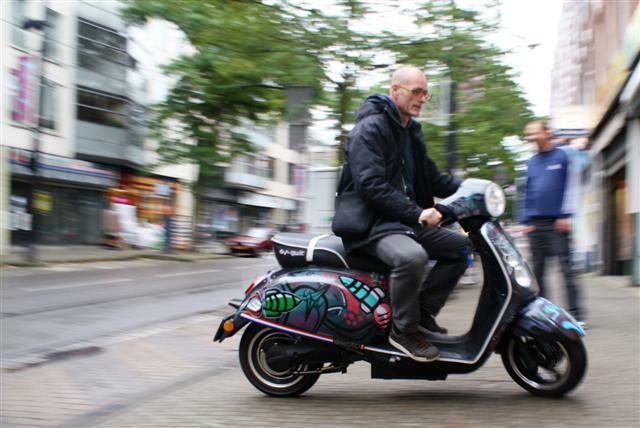 One of a fan, wich we painted mainly pink and the second one was from e-cab, an electric scooter company. 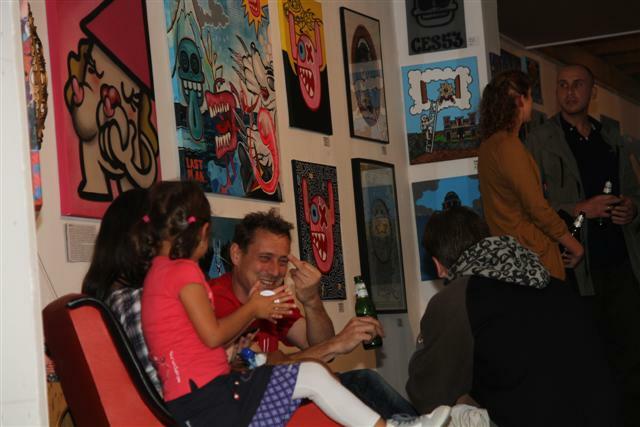 Quite a few people showed up and soaked up all the bright Lastplak colours. 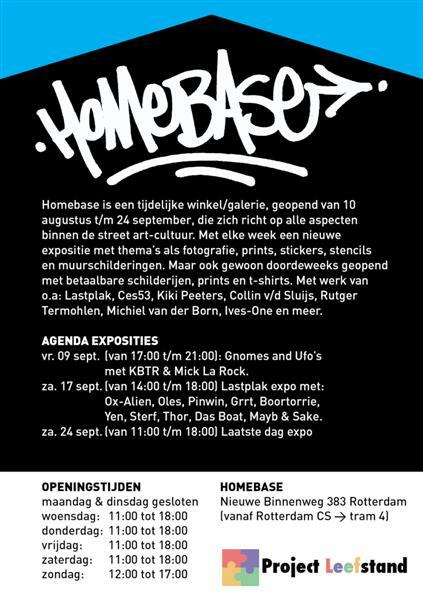 You can still check this show till the 24th of September. 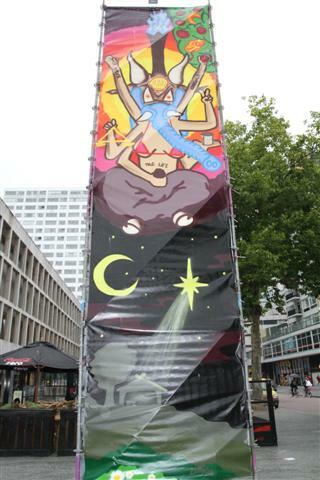 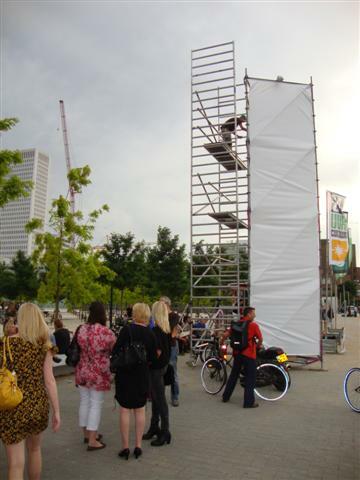 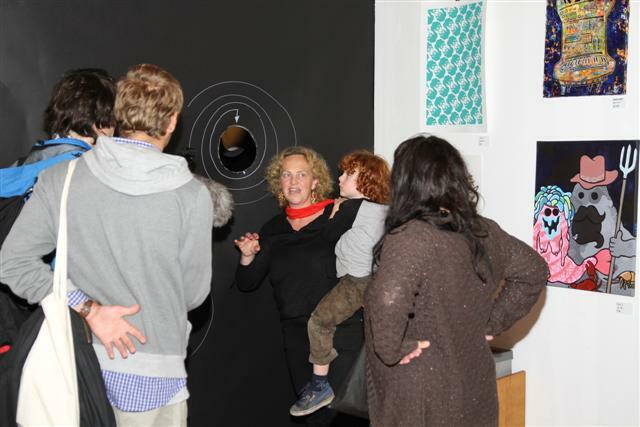 During this edition of the festival Wereld van de Witte de With we participated in the 24uurCultuur. 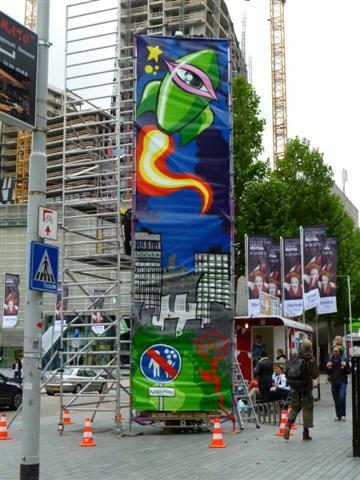 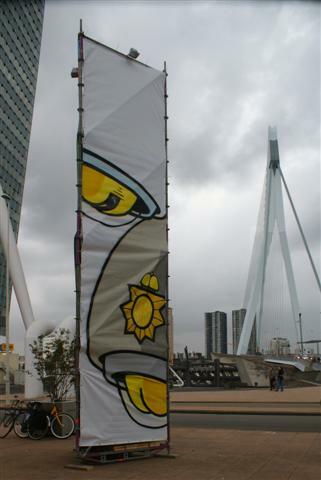 The Mothership had once again called us, and arranged some nice 2×8 meter canvasses for us and spread them out over the city. 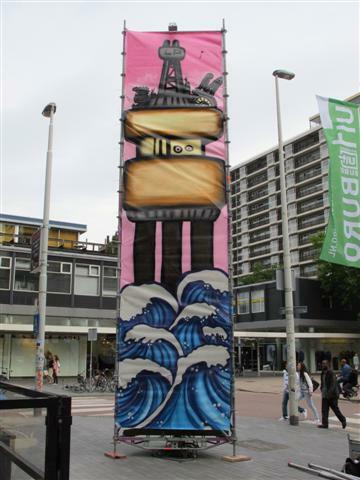 One was located op Zuid at the Wilhelminakade, one at the Schouwburgplein and one between the Boijmans van Beuningen Museum and the museum for architecture NAi. 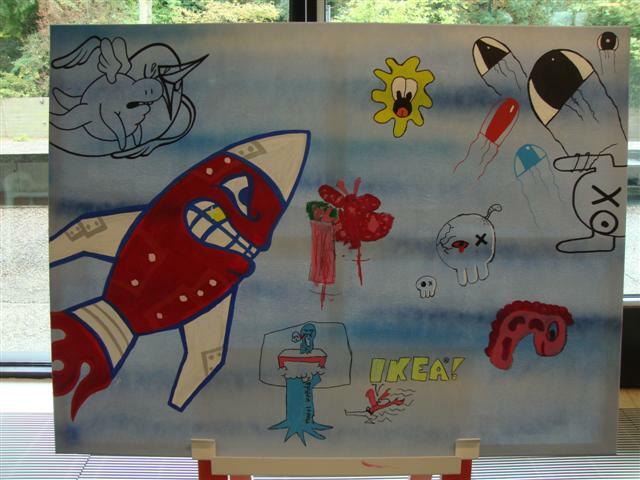 The theme was loosely based on the works of Banksy and we had to paint for 24 hours straight. 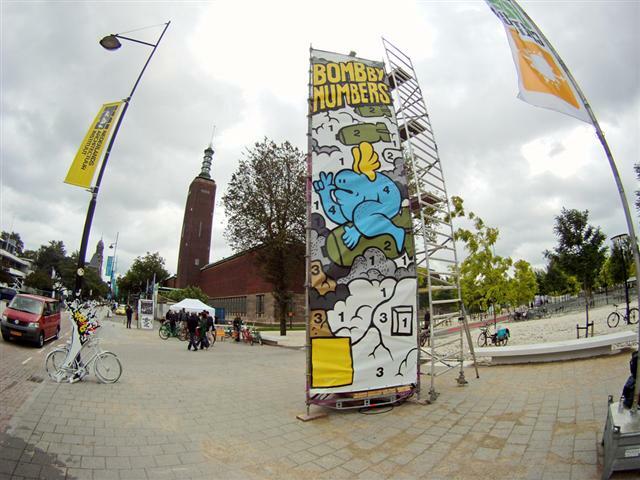 Surviving thunderstorms, rain, wind, alcohol drenched party’s and the sundaymorning blues, we managed to finish them all in time. 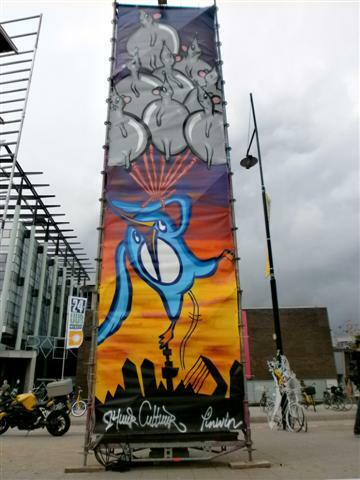 The gods did get angry, but were kind enough to only let one tower collapse, fortunatly with nobody on or under it. 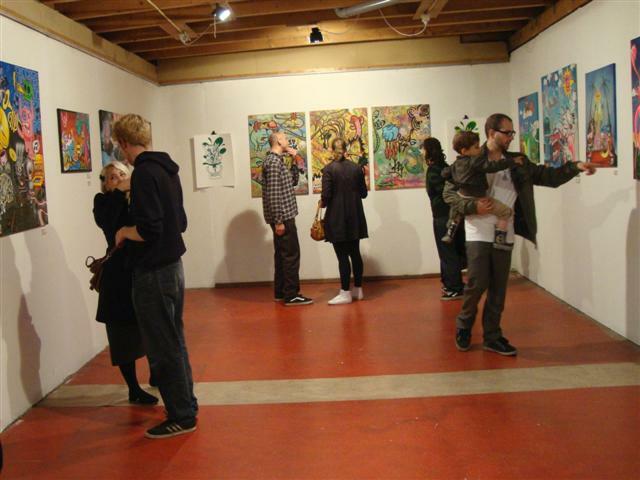 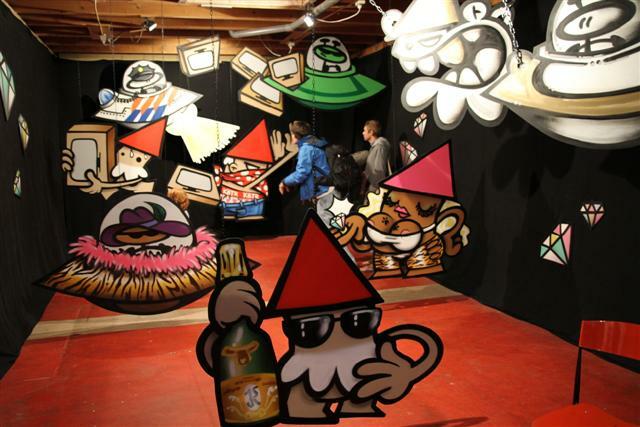 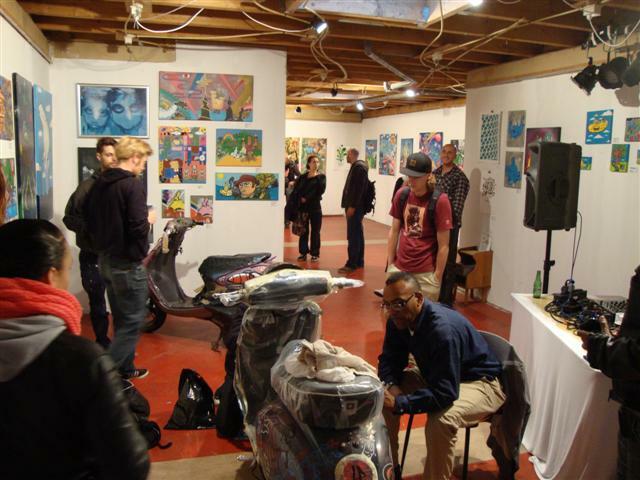 Last friday we had the “Gnomes & UFO’s” expo by KBTR & Mick La Rock at Homebase. 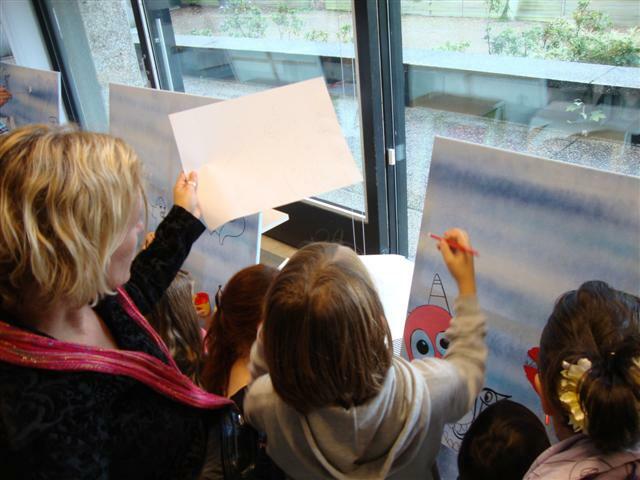 They made a lightbox from the whole expo-space. 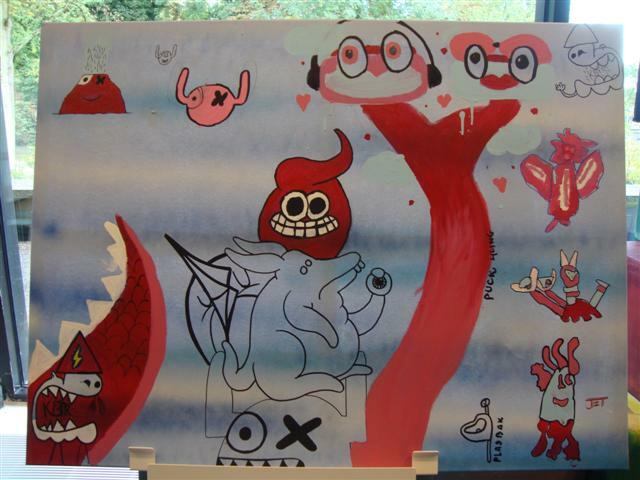 Here some pictures.